Join us for Youth Appreciation Week! 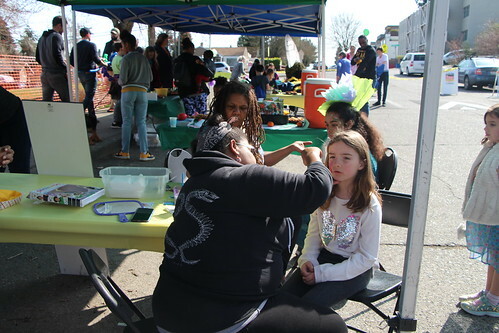 Each year, Seattle Parks and Recreation celebrates teens with Youth Appreciation Week by providing special programming during Seattle Public Schools’ spring break week. Programming includes regularly scheduled activities, special events, field trips, and activities designed to celebrate this special week for teens. And the best part? All events are free to attend! See below for a list of scheduled events! For more information, call Andre Franklin at 206-615-0954. On Saturday, Dec. 12, three young men represented Seattle Parks and Recreation in the national cross country championships in Albuquerque, New Mexico! Though the weather was cold and wet, all three boys finished strong competing in a pool of 227. Bitter Lake Community Center teamed up with the Aaron Brooks Foundation again this summer to serve more than 90 youth between the ages of 8-19 in the Drills and Skills program. 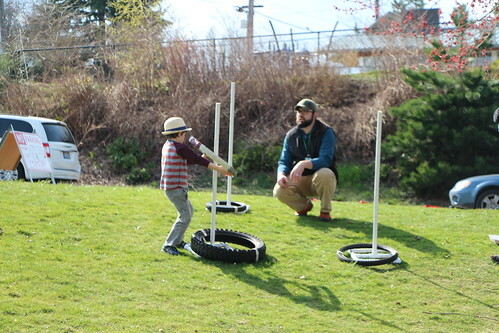 The Drills and Skills program connects with students’ recreational interests while also engaging them in structured, curriculum-based activities to gain successful life skills. It empowers youth to become successful citizens by providing a safe, nurturing environment where they will develop their academic, social and leadership skills. 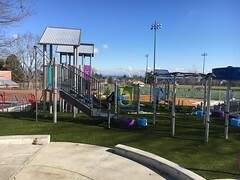 Drills and Skills is also offered at Bitter Lake Community Center for free during the school year (Mondays from 3-7 p.m.), historically serving upwards of 50 youth. 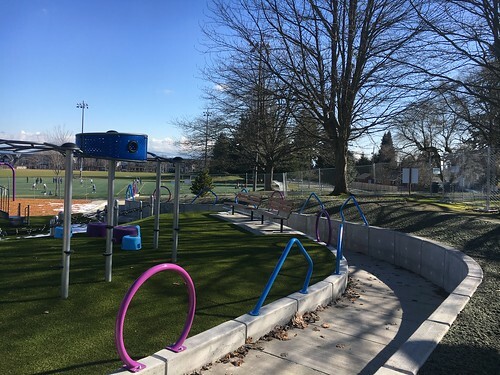 This fall, the program will also expand to four new sites, Garfield, Yesler, Rainier Beach, and Van Asselt community centers. 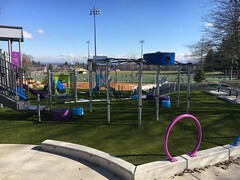 To register, visit https://class.seattle.gov/parks/Start/start.asp. Teens at Delridge and Rainier community centers received second place in an international digital media competition as part of the 2015 Adobe Youth Voices awards. More than 60 girls participated in a free basketball clinic led by Seattle Storm on April 18. Seattle Storm guard Jewell Loyd with clinic participants at Jefferson Community Center. On Saturday, April 18, Seattle Storm’s Jewell Loyd, the first pick in the 2015 WNBA draft, led a free basketball clinic for 62 young girls at Jefferson Community Center. Loyd was assisted by Storm staff and officers from the Seattle Police Department. Each participant was given a free t-shirt and two tickets to a Storm game at Key Arena. Special thanks to Navreet Gill, Senior Community Service Manager of the Seattle Storm for organizing the clinic, Group Health Cooperative for providing shirts and tickets to a Storm game, the Seattle Police Department for their work with the participants and Jefferson Community Center staff. There are plenty of fish in the sea, and this May, there will be plenty of fish in Green Lake. A previous Fishing Kids participant shows off his catch. Photo provided by C.A.S.T for Kids. 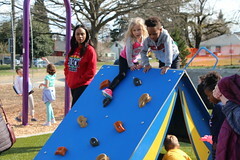 The LoveGreenLake.com Fishing Kids event will be held from 9 a.m. to 2 p.m. on Saturday, May 2. A net will be installed in the swim area by Green Lake’s Bathhouse Theater and stocked with trout. Kids from the community are invited to head to the shore and fish for 30 minutes (or until the child has caught two fish). There will be volunteers on-hand to help bait hooks, remove hooks, untangle lines and to clean the caught fish. This event is designed to provide all children ages 5 – 14, with an opportunity to receive hands-on fishing lessons and to enjoy a quality outdoor recreational experience. Before the event, there will be a brief water safety segment. Registration includes a free Zebco fishing rod and reel, t-shirt and trout recipes. This event is free and is sponsored by the Green Lake Chamber of Commerce and the support of a Neighborhood Matching Funds grant. There will be five fishing time slots for the children: 9 a.m., 10 a.m., 11 a.m., noon and 1 p.m.
To register, visit our SPARC registration page. Select the “Hobbies, Clubs & Lifestyles” category and choose “Fishing.” For event details, visit LoveGreenLake.com or the Green Lake Chamber of Commerce website. 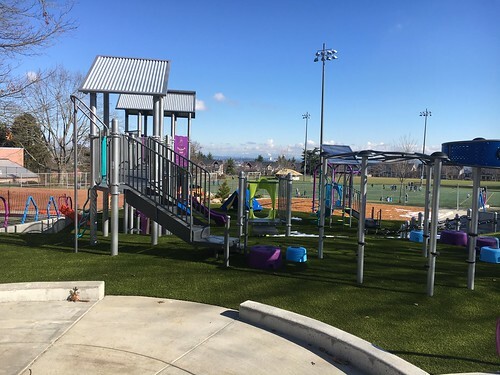 Seattle Parks and Recreation is increasing access to scholarships for teen programs with $40,000 from the 2015 Hope for Youth Fund. $40,000 has been allocated for the 2015 Hope for Youth Fund to increase access to recreational and positive youth development activities by providing scholarships to youth and teens residing in the Seattle area.